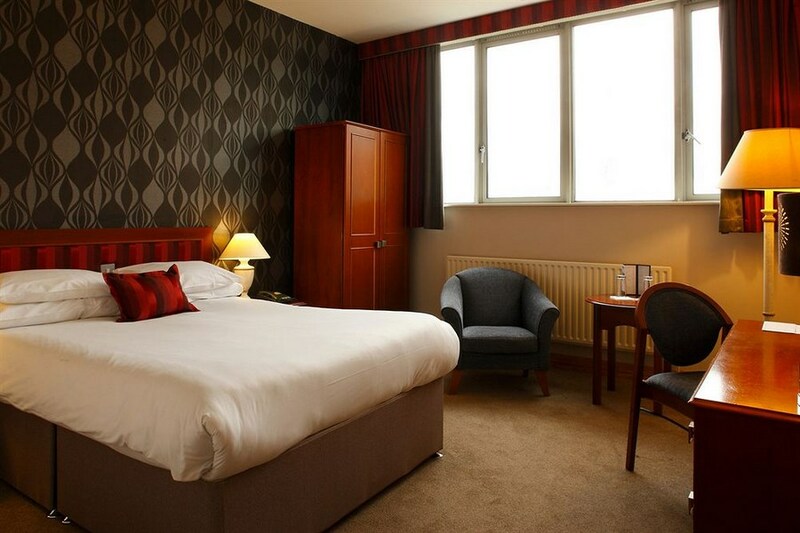 This Plaza Hotel is a luxury 4-star hotel in the heart of Tallaght, on the foothills of the Dublin Mountains, just off Belgard Road, beside The Square Shopping Centre. At the Plaza guests can enjoy fine food from creative menus and quality service. Guests can enjoy the contemporary style and atmosphere of the Vista Bar, which has beautiful mountain views and a fantastic range of cocktails. There is a Luas tram situated just a 5 minute walk away, which takes less than 30 minutes to reach the city centre. 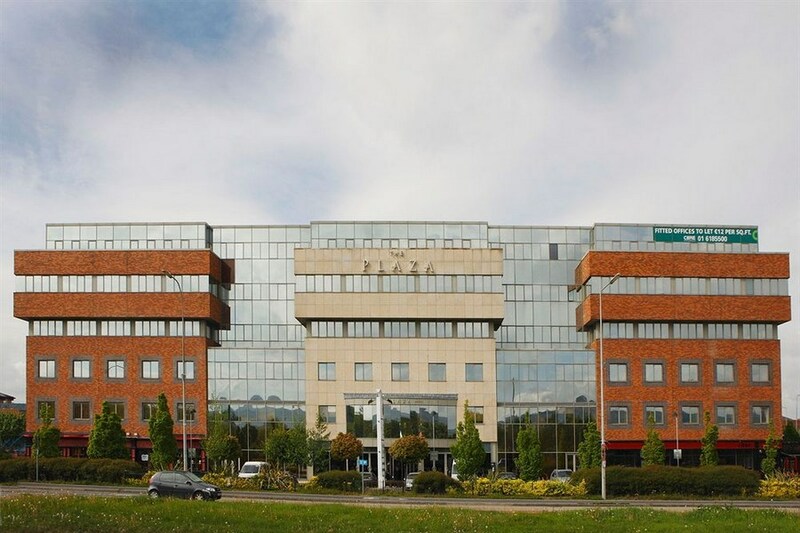 The Plaza Hotel Tallaght is 1 km from the M50 motorway, 5 km from the Dundrum Shopping Centre and a 20-minute drive from Liffey Valley Shopping Centre. Driving instructions to the Plaza Hotel. From the North Head for the City Centre until you pass the Airport, approximately 1 mile past it take the exit off for the M50 - Toll Bridge or all other routes. Turn right when you reach the end of this exit. You are now on the M50, keep going through the toll until you reach the Tallaght exit. Turn right onto the Tallaght by-pass and continue for approximately 1 mile and then you will see the Plaza on your right. From the South East (Wicklow, Wexford & Rosslare) follow the Bray Road to Leeson St. Bridge. Turn left at the Grand Canal. Continue for approximately 4 miles. The canal should be on your right hand side. Turn left at the T junction onto the Naas road. Continue until you come to a major crossroads called Newlands Cross. Take a left turn here and continue to the end of the road and the Plaza will be on your right. The entrance is at the rear of the Hotel. From the South Turn right off the Naas Dual Carriageway at Newlands Cross onto the Belgard Road. Turn right at The Plaza Hotel at the end of the Belgard Road. The entrance to The Plaza Hotel is situated at the rear of the complex. There is a Luas tram situated 5 minutes walk away, which takes less than 30 minutes to reach the city centre. 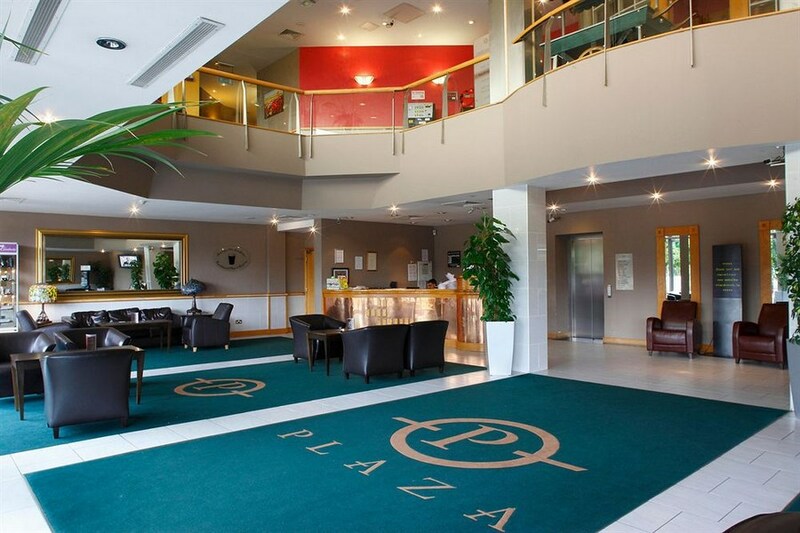 The Plaza Hotel Tallaght is 1 km from the M50 motorway, 5 km from the Dundrum Shopping Centre and a 20-minute drive from Liffey Valley Shopping Centre. my daughter and myself stayed for 2 nights. The hotel is very clean and the bar food was lovely. When we checked in the man at reception never explained about breakfast times and where it was. another man at receptionist was very good when we asked about directions to Luas to the 3 Arena. The shower in our room was poor. When you raised the shower head the water went off completely. Room very clean but dated but this is our second time staying there and would stay again. Good value and next door to shopping centre and very close to Luas. 3 and half stars. This was my 3rd time to stay here . I have always found all staff to be very friendly and professional . The rooms are spotless . Breakfast was a bit of a let down on this stay . But over all I was pleased with my stay and I will be a repeat customer . Brilliant stay, friendly staff. Not the best view from the room we got but the was fine. The bar on to the hotel was great as well. Great service and food and drink deals as well. This hotel was clean and comfortable but the room was dated and shabby. The breakfast was horrendously bad, deeper fried eggs no other options, the cheapest bread and cold tea and coffee not a great experience. Good value but I doubt I will be back. Surprised that this hotel merits four stars. One lift for 126 bedrooms. Badly fitted carpets on stairs a death trap. Late night music keeping us awake. Uncomfortable bed. Old, small TV. WIFI signal terrible. Area around the entrance looks like a scrap yard. Bedroom windows filthy on the outside. Breakfast bacon undercooked, and the thick cups sucked all the remaining heat out of the tepid coffee. The three stars were earned by the professionalism of the receptionist, by the sublime evening meal and the service, by the excellence of the pint, by the remarkable architecture of the reception area, by the lovely views from our upper floor bedroom window, by the generous size of the bedrooms, by the cleanliness, and by the kind lady who went out of her way to make a nice cup of coffee for my wife at breakfast. I would not consider this a four star hotel. In fact I wouldn't give it one star. We booked the hotel because of its close proximity to the Luas as we were travelling to an 02 concert. Although we requested a quiet room we were given a room above the disco. Do not go here if you are retiring early to bed and are sober, you will not sleep. The noise and vibrations of the disco will make sure of this. The breakfast is so basic I cringe at the thought of what was on display. We did complain and were offered the choice of two rooms at twelve o clock at night. Again the music could be heard clearly but were reassured it would stop in 10 minutes as it was in the bar. It continued until after 2. Best advice do not book this hotel. Excellent value, modern hotel with great restaurants. It is set in a great location beside the Square shopping centre and less than 5 minutes walk to the Luas. I would recommend this hotel particularly as a family break. Would never stay there again. Booked two rooms and got adjoining rooms with one of them freezing. Had to ask for blankets. Bed in one room was only foot from the ground and as person using it was elderly it was difficult to get in and out of. The other bed had no headboard. Breakfast was cold and greasy. We had room facing the road and traffic through the night kept us awake. Bed was rock hard. Only socket to charge our phone was other side of the room and light had to be on to get power in the socket even though key card still in power slot. No switch by bed for main light just a lamp. Definitely not a 3* hotel. Would only rate it a basic 2*. To top it all off I was over charged for both rooms when checking out. They didn't deduct the deposit already paid online. I didn't realise this until gone from hotel so I called and they said they would refund onto card. Had a very pleasant stay / cleanliness excellent,staff in all departments very friendly and helpful lovely breakfast ,would stay again. I can't say I enjoyed my stay, I arrived at the hotel I had booked a family room but was given a double room and was then told that no other room was available, after 20 mins I was then given a family room, I rang for room service to be told that it was unavailable , next morning went for breakfast following morning to find a few bits of fruit and pudding and was told by a member of staff that it was first come basis and nothing else was available so no I did not enjoy my stay in this hotel, I am not one to give out but I am really annoyed . Lovely hotel, staff were very nice and friendly. I recently had the occassion to stay overnight in the Plaza tallaght,the staff were friendly & the rooms etc.. were clean but thats it,the food was sub standard & bed very uncomfortable,also facilities leave alot to be desired. I have stayed in 2 star hotels which were of a better standard of quality. It is also very hidden away & now i know why! The hotel was clean and the views while eating breakfast is lovely but the breakfast wasn't great. the range of pastries consisted of bread rolls only, the fry ingredients weren't particularly tasty. Ok hotel if you are up for shopping. I suppose for the price it was fine.